PCBWay is a Chinese manufacturer with over 10 years’ experience in PCB prototype and assembly service. They have helped so many electronics engineers assemble projects. Their excellent service wins wide reputation from all over word engineers. The following are a few reasons why we recommend PCBWay Assembly Service. To help more electronic enthusiasts build projects at a lower price, PCBWay decided assembly price dropped to $88/10 pcs and the free stencils (usually frameless is $10). What is more, they added a production line last month to upgrade their assembly service, it helps reduce delivery time significantly. A new event is held on 2nd, May at PCBWay—-Free Shipment for Assembly Order. Once you place PCB assembly order, it will reduce freight cost. Usually, you can get a professional reply within 24 hours, there are sales on duty at any time. Or you can use online chat with them. As we mentioned before, PCBWay added a new production line to upgrade their assembly service. It means less money for better service. And the components they purchased are all original from Digikey, Mouser, etc. It will help you avoid losses due to the use of bad quality components. Usually, the delivery time of assembly is 15 days. This is the most prominent feature service of PCBWay. I am not sure whether you ever deal with after-sale issues with other company, it will make you frustrated. Most of them shirk responsibility and do nothing. There is an after-sales service channel on PCBWay background system. 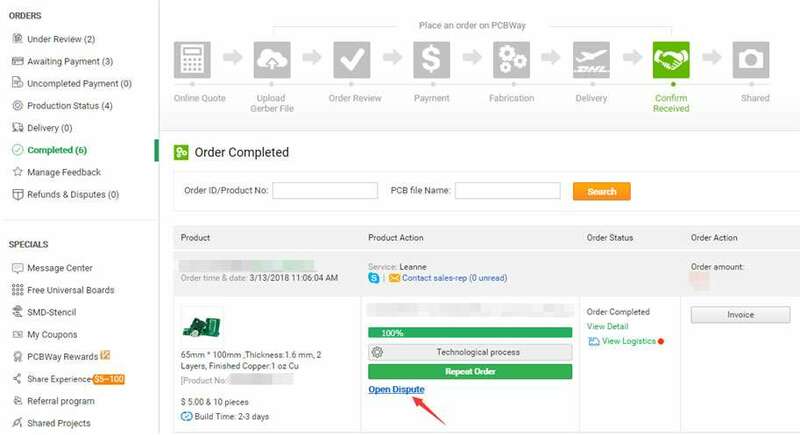 If you are not satisfied with the PCB quality or service, you can make a complaint directly and their after-sales team will respond to you within 24 hours. 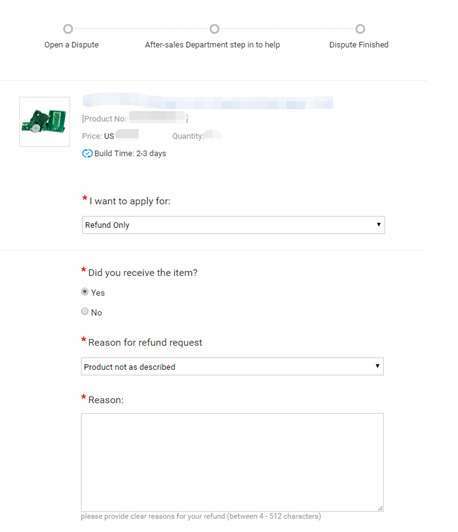 It is their problem, they will refund or reproduce for you. It is so wonderful, they are really a responsible company like Amazon in PCB field. 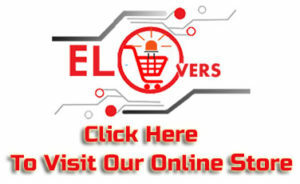 Above all, if you need PCB assembly service, just try PCBWay.